While ranchers were busy working last month, something happened and it wasn't nearly as pretty as the scenic images of a branding crew or a bunch of riders moving cattle to summer pasture. The market for fat cattle took a dive in the middle of May. With break-evens anywhere from $1.15 to $1.30 per pound for cattle feeders marketing finished cattle, the $1.10 they were forced to take in the last few weeks "caused harm" to their operations and their ability to continue feeding cattle, said Mike Jorgensen, a representative for video sales company Big Blue Livestock and cow-calf rancher from Iowa. While June is typically a tough month for the cash cattle or finished cattle market, the significant drop in the market in May was not necessarily a function of market signals, said Jorgensen, who hasn't fed cattle for about ten years. "Why did they take so much off fat cattle? I guess, basically, because they can. Cattle are a very perishable commodity. When they are fat they have to be sold, and we are down to four major packers. There is no competition when you get them fat." Jorgensen said he expects a tough road ahead for feeders this summer, as a large supply of finished cattle will hit the market soon. Feeders who are selling at current prices are probably losing between $50 – $60 per head, he said. Packer profits, according to Drovers Journal, are up significantly, to nearly $300 per head in mid-May. “We don’t have that much competition in the packing industry, all this forward contracting, they use that, and there are so many cattle on feed that they are able to drive it lower. Even though demand is good, there is a huge supply of cattle on feed.” Ted Thompson, cattle feeder near Whitewood, S.D. Ted Thompson who feeds cattle near Whitewood, South Dakota, agrees with Jorgensen that a lack of competition allows the packers to set the price, and he also blames good old supply and demand for the beef. "We don't have that much competition in the packing industry, all this forward contracting, they use that, and there are so many cattle on feed that they are able to drive it lower. Even though demand is good, there is a huge supply of cattle on feed." The export market is strong, beef demand is strong, and President Trump's tariff announcements are not the cause of the market downturn, said Thompson. "I don't think we can blame this on President Trump. It's just the industry. We have too many cattle on feed." Partly due to last year's drought, more calves than normal went on feed at the same time, he said. "The whole industry knew it was going to happen." And he's optimistic that it will get better. "It's just a psychological thing we're going through right now. It's tough to get out of that." But he doesn't think supplies will stay this high for too long. "As we get through these cattle and eat our way out of this, I think we'll get into a hole. I think packers will be scrambling to find enough cattle. Hopefully we're in our lows right now." While many feeders utilize futures options as risk management tools, the setup of the trading options might put feeders at a disadvantage. "The funds seem to control the cattle market," said Jorgensen. 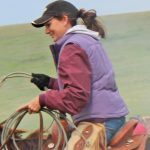 "It's almost impossible to hedge or protect yourself because the funds control thousands of loads where an individual feedlot might want to sell two or three loads, and they blow you out of the market." Historically, one individual or institution could not own more than 300 contracts. Now, some investors own 150,000 to 300,000 contracts at once, he said. "The average guy can't begin to compete with that. They have billions of dollars to back them up." Re-establishing contract limits could help level the playing field, Jorgensen believes, and he also thinks electronic trading has artificially lowered and raised the market. Mike Callicrate who raises and feeds cattle and sells fresh beef in Colorado, said many of the larger feedlots still in existence have struck deals with packing companies, but even those feeders feel the pinch with such a significant drop in the market. "Even those guys, when they lose $400 per head – you can see the next wave of cattle feeders leaving the business." Thompson agreed. "It's going to keep happening, the market will keep putting feeders out of business. For some, the risk just isn't worth it anymore." The spread between the cash market and the futures market was strangely large. "I can't remember a time when cattle were that hedged," said Thompson. For example, if futures are around $1.05 per pound, that's close to where we should be for live price. Instead it was ten to twelve bucks ahead." R-CALF USA is researching the activity and will likely request a Senate investigation, said the group's CEO, Bill Bullard. "What we saw was that the wholesale value of beef began to strengthen significantly after April 20 and, as expected, cash prices for fed cattle responded favorably by continuing to trend upwards. However, futures prices, while initially responding favorably with a modest upward trend, unexpectedly began weakening, dropping almost $6 per cwt during the week ending May 18. This unexplained downturn in the futures market drug the cash market down with it, causing the cash market to lose nearly $7 per cwt. This downward volatility at a time when the meatpacker value of beef was increasing week over week suggests market failure. To put this in perspective, if the meatpackers can reduce cattle prices by $7 per cwt, that equates to a $48 million windfall for them in just one week based on the packers killing about 550,000 head per week. So, we can clearly see a motive on the part of the packers to want to create volatility in the market, now we need to demonstrate how they do it, and that's why a full-scale investigation is needed." Gary Mikelson with Tyson meat company, said he does not want to speculate as to why the market took a significant dip last month. As far as forward contracting goes, he said, "As noted in our recent 10-Q: We purchase certain commodities, such as grains and livestock in the course of normal operations. As part of our commodity risk management activities, we use derivative financial instruments, primarily futures and options, to reduce the effect of changing prices and as a mechanism to procure the underlying commodity." He added that Tyson does not discuss pricing with other meatpacking companies before bidding. One way the packing companies can manipulate the market is by paying certain feedyards a bonus of sorts, for example ten cents per pound for all of the cattle they supply, which means the reported price paid for the cattle is lower than the true price paid for the cattle, said Callicrate. This reported or "official" price then helps set an artificially low price across the country for all other similar cattle. The answer is law enforcement, said Callicrate. "People say it's just capitalism. I say 'no it's not.' The biggest enemy to capitalism is monopoly and threat to our system, it's what capitalism leads to without rules. In a fair deal, the smartest, best, most efficient guy that gets up early and goes to bed late deserves a better deal, we get that. That's now what we have." The Grain Inspection, Packers and Stockyards Administration update or Farmer Fair Practices Rules, that were thrown out by the Trump administration could have been a step in the right direction, Callicrate said. One of the rules would have updated the GIPSA language to allow an individual to file a complaint if he or she was harmed by unfair business practices. Current law requires proof that the entire industry was harmed in order for corrective action to be taken against market influencers. "Listen, let's say it's Friday night, it's high school football. We're going to go watch, the kids will be out there, the captains will be on the field, and the refs will flip the coin to see who gets the ball and then they will ball, and then they will leave the field, enjoy a hot dog and a coke and the game will go on with no rules. Think about the outcome. The biggest cheater, the meanest guy, the one with the biggest gun, he will win. We all go crazy over our sporting events when someone cheats but we don't give a damn if someone in business cheats. We might go after a thief that took a trailer load of cattle but not a meat packing company that lowered the price and took a whole year's worth of production." As feeders go broke, the whole industry suffers, said Callicrate. "When feeders going out of business, then we are just screwed. We've decimated an industry, destroyed it's structure and we're dependent on foreign beef. For the foreign companies like JBS, the money is made in bringing cheap stuff in, searching the world for the cheapest and bringing it to the largest consuming nation." Increasing the nation's cattle herd would help the whole economy, said Callicrate. "When a cow eats grass, and has a calf, that is wealth creation. Our lack of policy is making sure every year we have fewer cows and less beef production and that means less dollars going into the economy." Thompson expects the fall calf market to be similar to last year's. "We've got our crops in, and it looks like the Midwest has had decent moisture. I think we'll be even or maybe a little better than last year." Demand for yearlings might be stronger than for calves because of a shortage of yearlings, said Thompson. This is the result of last year's drought which caused some producers who normally retain and background their own calves to sell them off the cow. Jorgensen is more concerned but agrees that yearlings will be in short supply, and he predicts them to be valued around $1.40 to $1.50 per pound. He expects 600 pound steer calves to be valued around $1.65. Belle Fourche Livestock reported 580 pound steers in early October of 2017 around $1.70 to $1.80.